They might not be real pearls, but they are just as beautiful. 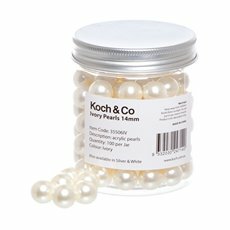 At Koch & Co, we carry a wide range of the finest products. 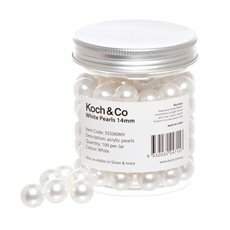 Our acrylic pearls are made from high quality materials and we import them ourselves. Acrylic pearls have many uses and they make great event decorations. They look amazing as glass dome, terrarium and vase fillers and also work well as accents. 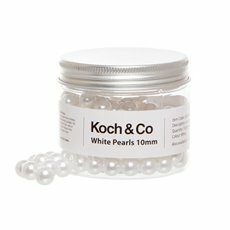 Our acrylic pearls come in various colours and amounts, so you can get exactly what you want. The colours that we stock include silver, white and ivory. They will look great as part of your next project. 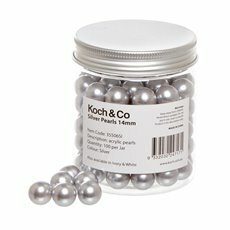 Koch & Co first opened in 1931 and we have grown to become importers, national distributors and wholesalers with the largest range in the country. We sell our products Australia-wide, with quick delivery to metro Sydney, Melbourne, Brisbane, Perth and Adelaide. 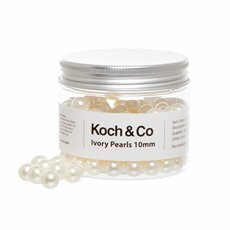 Shop for vases online and fill your new piece with our stunning acrylic pearls.